"We had a lovely time, the place is just beautiful and you really made us feel welcome! Definitely the best bridal experience I've had out of all the shops we have visited." Emma. 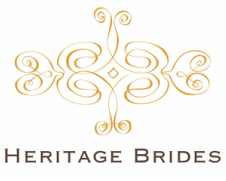 Heritage Brides operates on an appointment only basis to try on our exclusive gowns. However if we are not with a bride, we would love to welcome you to the boutique to see our delicious dresses. It's a great opportunity to meet brides for the first time, discover exactly what you are looking for and to get that all-important appointment in the diary. Of course it's also an opportunity for you to see if Heritage Brides and our gowns are the ones which you have been searching for. Please note, if we have a bride in the boutique trying on a dress, then we will be shut so they can have our undivided attention. Please note that it is sometimes not possible to answer the phone when with a bride. Please leave a message and we will ring you back as soon as possible. If you are interested in visiting Heritage Brides, it is always advisable to get a date in the diary as we cannot guarantee that we will be able to see you. * Heritage Brides is on the first floor of an ancient barn. Because of listed building restrictions, it has not been possible to accommodate disabled access. We'd love to hear from you. Please get in touch if you want to come along to the boutique to try on a dress or our accessories. FREE PARKING AND FREE ENTRY to the Stable Yard at Hatfield House via George's Gate car park, just off the Citroen garage roundabout in Hatfield. Postcode for Sat Nav AL9 5JA.